When you book your camping pitch give the password "INFERNO"
to benefit of the festival deal. Be careful you can pay only in swiss francs. Euros are not accepted. At the right you can find a Lausanne city map. the HOTEL AGORA SWISS NIGHT. 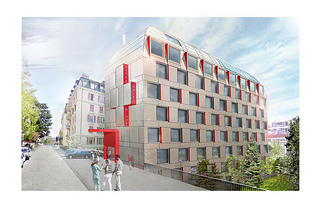 It's a 4 stars hotel in the Lausanne downtown area. Intercontinetal breakfast and public transport pass included. + local tax at CHF 2.80 per person per night. "INFERNO" to benefit of the festival deal.